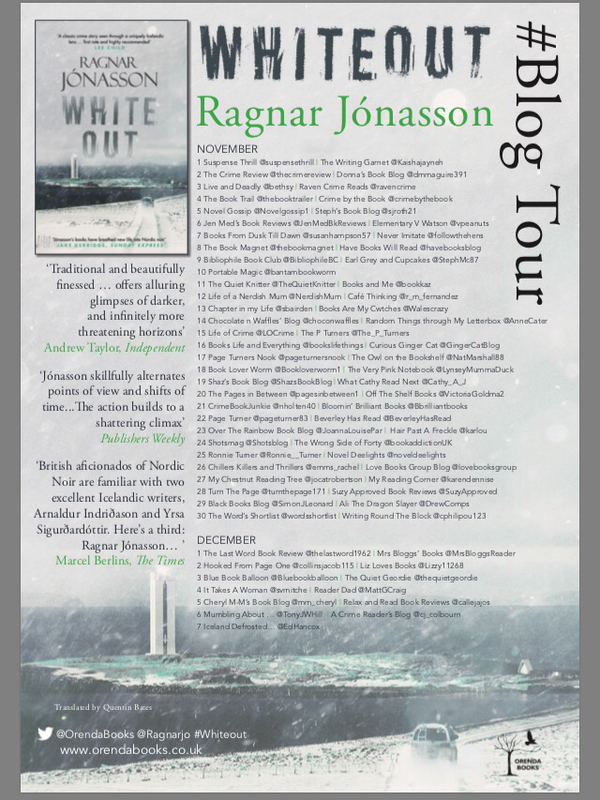 I am absolutely thrilled to be on the blog tour today for Whiteout by Ragnar Jonasson! Many thanks to Anne Cater and Karen Sullivan for inviting me. It is always a pleasure to settle down with the newest Ragnar Jonasson as this series has been sheer delight since that very first book to have featured Ari Thór. I have such a soft spot for this Icelandic detective and love the slowly developed characterisations of Ari Thór, Tómas and especially Kristín who I felt I got more of an insight into this time as I’ve found her quite distant previously. This is the perfect book to cuddle up with over the festive period as it’s set over the Christmas holiday period in Iceland. Ari Thór is looking forward to spending a quiet Christmas with 8 month pregnant Kristín as they await the birth of their first child. There was a wonderful inclusion of the Icelandic tradition that I would love to see started in the UK where everyone gifts books on Christmas Eve and spends time reading with their loved ones. Unfortunately, this may not be possible for the expectant parents as a suicide that takes place at an isolated lighthouse has now been classed as a murder and the pair head out together to the outreach so that the detective pairing of Ari Thór and Tomas can try to solve the case quickly before Christmas Day. I became gripped very early on by the way in which we spent time with the murder victim in the days leading up to her death, before the involvement of the police. Although there was only a very small cast of suspects, it was fascinating to watch the way they all reacted once the police arrived. I have to admit to having had no idea as to why Asta had returned to the place where she had such bad memories and where she had lost her mother and sister so I was curious as to whether their deaths had anything to do with her own murder. And if so who could possibly have had something to hide that warranted committing murder? Set within an atmospheric, cold and dark environment with the lighthouse and the cliffs standing dramatically at the centre of the mystery, I think this chilling storyline has actually been my favourite case so far. The narrative flowed perfectly and the inclusion of old family diary entries added an extra dimension to the mystery which hit me with an unexpected wave of nostalgia especially after reading the notes at the back of the book. Knowing there was a personal connection weaved skilfully into the storyline gave an added insight into the family history. There’s a comforting feeling reading this Dark Iceland series, which is unusual in a crime drama, and that calmness made a pleasant change from the adrenaline fuelled crime novels on the market today. Ragnar Jonasson often draws a comparison to Agatha Christie and I think that’s a perfect analogy. Any fans of her classic whodunnits will love these books as will lovers of Nordic Noir who haven’t yet discovered this series. I would say though that it’s probably best to start at the very beginning of the series so that you can follow the development of the characters and get more from the finer plot details. And once again I have to mention the stunning translation by Quentin Bates who makes you forget that WhiteOut was ever written in any language other than English from the start, but still manages to maintain the heart of the Icelandic language and the people at the core of this wonderfully moving story. Whiteout (Dark Iceland) is available to purchase now from Amazon UK (affiliates link) My review copy came from the publisher Orenda Books. Ragnar Jonasson is author of the international bestselling Dark Iceland series. His debut Snowblind went to number one in the kindle charts shortly after publication, and Nightblind, Blackout and Rupture soon followed suit, hitting the number one spot in five countries, and the series being sold in 20 countries and for TV. Ragnar was born in Reykjavik, Iceland, where he continues to work as a lawyer. He also teaches copyright law at Reykjavik University and has previously worked on radio and television, including as a TV-news reporter for the Icelandic National Broadcasting Service. Ragnar is a member of the UK Crime Writers’ Association (CWA) and set up its first overseas chapter in Reykjavik. 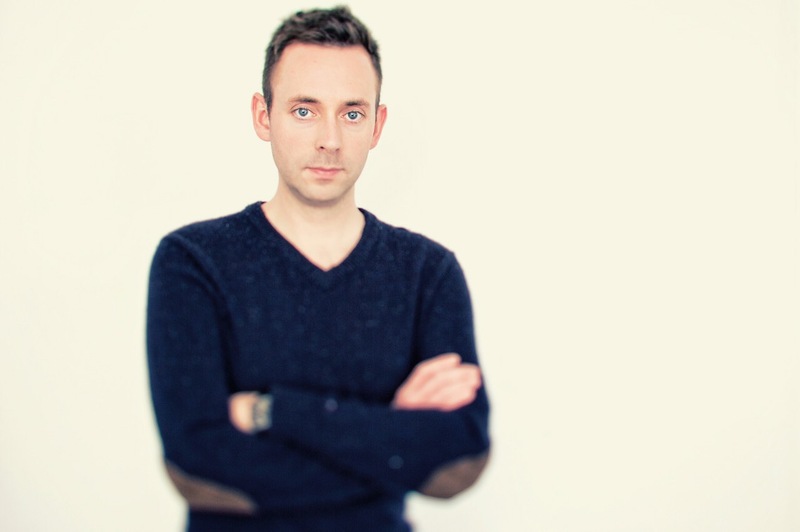 He is also the co-founder of the international crime-writing festival Iceland Noir. From the age of 17, Ragnar translated 14 Agatha Christie novels into Icelandic. He has appeared on festival panels worldwide, and lives in Reykjavik with his wife and young daughters. This sounds great thanks for the review.